Emily Voelkers' second-grade class at Richard Kane Elementary has been chosen to decorate a Christmas tree as part of Governor Fallin’s Christmas Tree Lighting Ceremony at the State Capitol. On Tuesday, December 4 they will joined by Governor Fallin and State Superintendent of Schools Joy Hofmeister in a photo with their decorated tree. 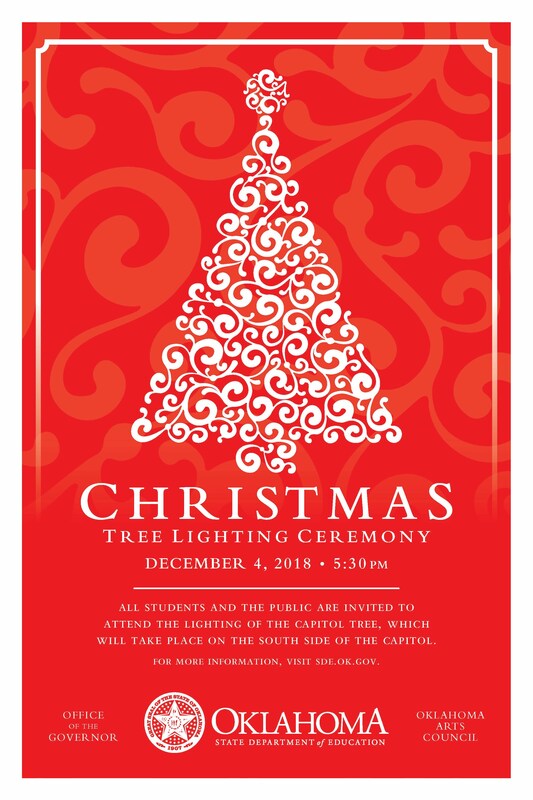 There will be entertainment, fun activities, and snacks throughout the afternoon leading up to the Christmas Tree Lighting Ceremony outside the Capitol at 5:30 p.m.